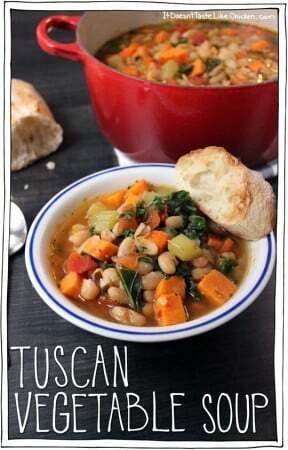 Hearty, mouth loving, tummy warming, jam packed full of healing veggie power, Tuscan Vegetable Soup. This is exactly what I need this time of year. It’s one of those recipes I wish I had simmering on the stove at all times, and am really not sure why I don’t as it only takes 40 minutes to whip up. White kidney beans, sweet potato, tomato, kale, carrots and celery. Um, yes please! 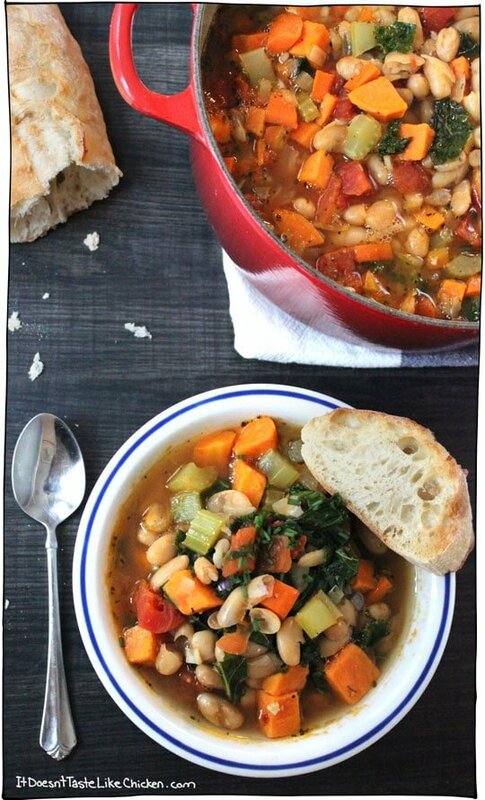 It’s the perfect soup for combating flu season and cold winter nights, all while being incredibly scrumptious. Good bye evil colds, hello yum in my tum. Hey good news! For you calorie conscious, or nutrition nuts, (I’m a nutrition nut!) from now on, I will be adding nutritional information for my culinary creations. You can find it at the just below the recipe. Let me know if you like this addition. If there are any past recipes in particular you are curious about, I can go back in history, (ooh time travel), and add the information there as well. Start by peeling the carrot and sweet potato. Then chop them up along with the celery and onion. Finely mince the garlic and set aside. Drain and rinse the kidney beans and set them aside too. Heat olive oil in a large soup pot. 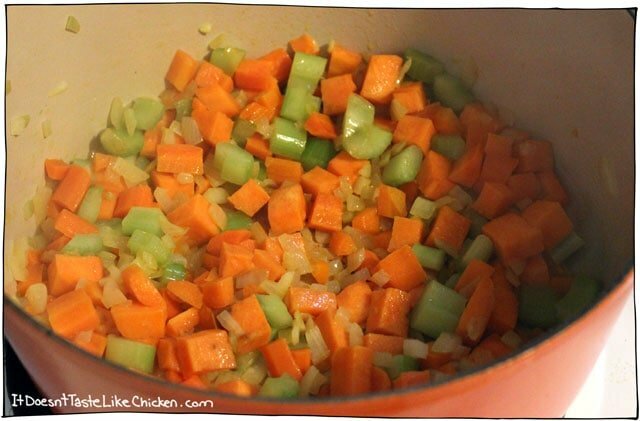 Sauté the carrot, sweet potato, celery, and onion, until they begin to soften, about 10 minutes. Add the garlic and spices and cook for another 2 minutes until the spices are fragrant. Add the broth and use your spoon to scrape any browned bits off the bottom of the pan. Add in the tomatoes and beans. Cover and simmer for 15 minutes. The soup is almost ready now. Just toss in the chopped kale and stir to incorporate. Cook until kale is wilted, about another 5 minutes. Serve hot with crusty bread. 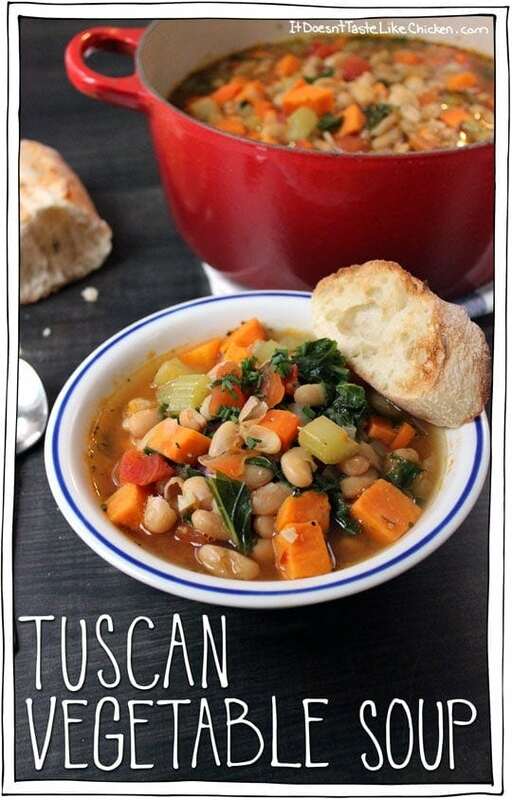 Hearty, mouth loving, tummy warming, jam-packed full of healing veggie power, Tuscan Vegetable Soup. Heat the olive oil in a large sauce pan over medium high heat. 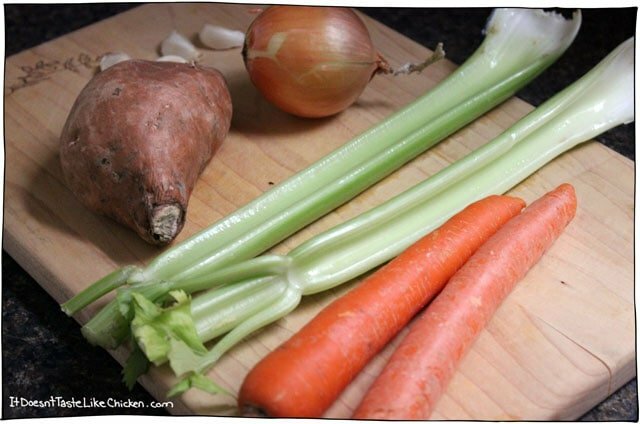 Add the carrots, sweet potato, onion, and celery. Sauté for about 10 minutes until the vegetables soften. Add the garlic, bay leaf, red pepper flakes, basil, and sage and cook for about another 2 minutes until the spices become fragrant. Add the broth and use a wooden spoon to scrape all the brown bits off the bottom of the pan. Add the beans, and tomatoes. Cover and let simmer for 15 minutes. 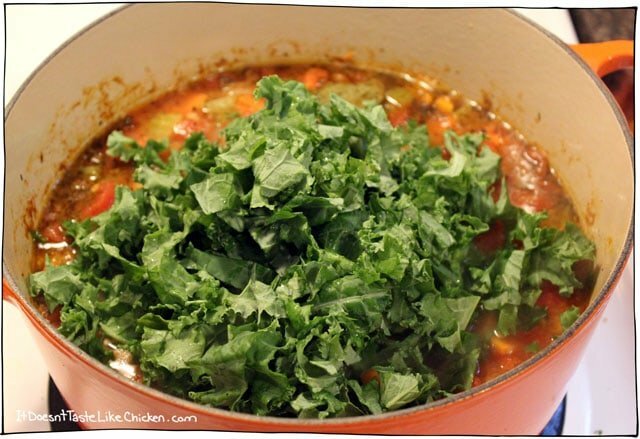 Add the kale and stir to incorporate it, simmer for another 5 minutes until the kale wilts. Adjust seasoning as needed, then serve hot with some crusty bread. Yum! 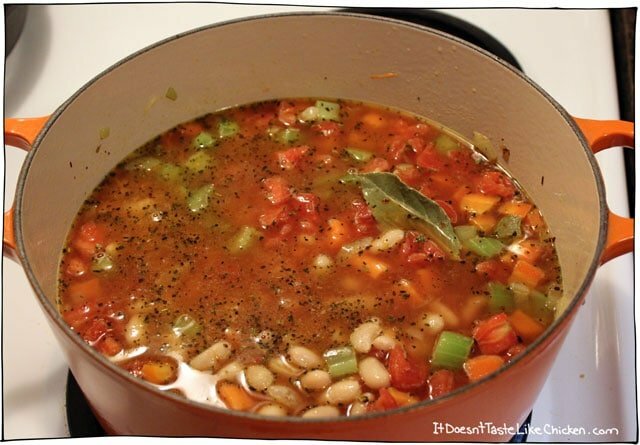 Feature Ingredient: White Kidney Beans. 143 Days, 63 Recipes to go! I made this as my very first plant-based meal. It was delicious and I feel very proud of myself for stepping out of my comfort zone. Thanks for making this complex topic seem so simple! 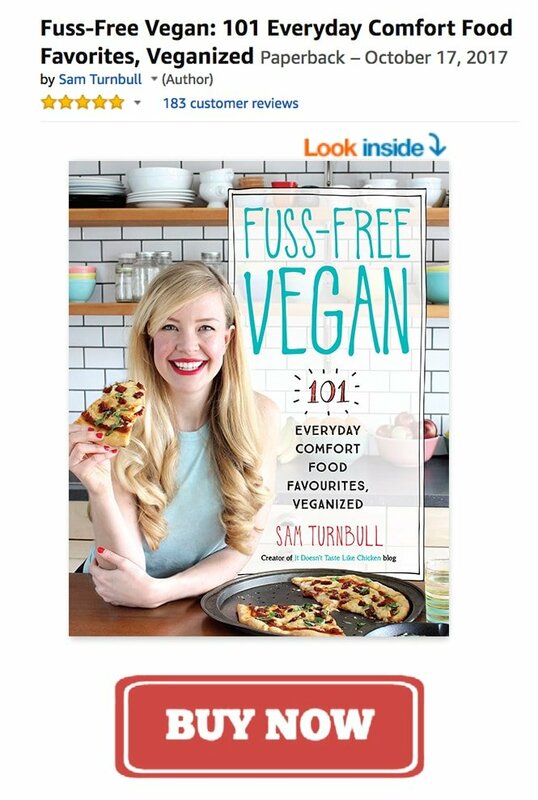 I look forward to trying more recipes and buying your book. Wow! Congrats, Trish. I’m so happy you found me, many easy recipes for you to test out. Let me know if you ever have any questions. Hello! What is the serving amount? This soup was absolutely delicious! I made it for my flatmates (all omnivores), and they all went back for seconds! This soup has won back my love of being in the kitchen. Amazing. Easy to prepare, readily available ingredients and restaurant worthy taste. I am starting to feel a cold coming on and I made this soup tonight. AMAZING! One of the easiest and tastiest soups I’ve ever made. Love the sweet potato especially. I had spinach on hand so I used that instead of kale and it was still excellent. Can’t wait to try your veggie stew next. Thanks for another great recipe! Awwww you’re welcome Laura! So happy you loved the recipe. I hope it scared your cold away! 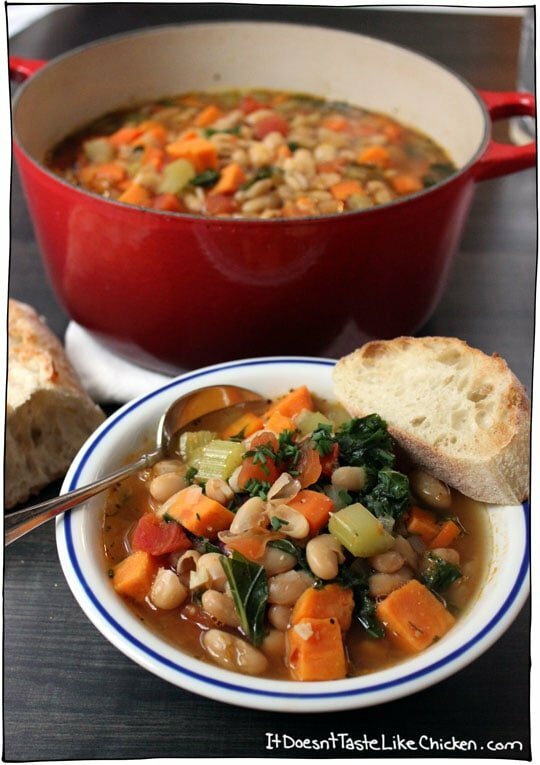 I made this soup last night for dinner and it was delicious! A great soup for a cold wintery evening in Iowa! I look forward to trying some of your other recipes! Thanks !!!! Thank you!! I love BlogHer 🙂 So true, never enough healthy yummy recipes. I checked out your blog, yum! You had me at popcorn. This looks so amazing. I have most of those ingredients right now and might just whip some up! Looks yummy! I love a good hearty soup during winter. I also love the new nutrition info at the bottom of the recipe too.